Invite our experienced designer to measure your room, develop a 3-D plan and quotation with suggested products, to meet your needs and budget. If required, with our trusted fitting team, we can take care of everything from plumbing, plastering and tiling, to electrics, gas, specialist granite and solid surface installation. Quality products from trusted suppliers: stylish, practical solutions for your home. Design and order your new kitchen units using our interactive planning tool. Download our fitted kitchen, bathroom and wardrobe brochures, which can be made to order by our UK manufacturers. Contact us for details on how to proceed. 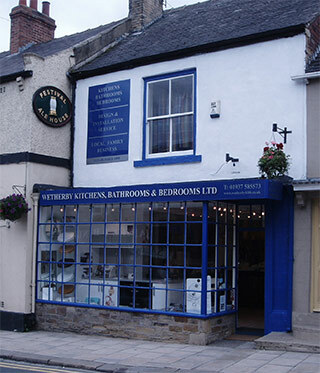 Visit our showroom to view our home displays and stock of bathroom accessories, shower fittings and toilet seats in a variety of colours. We can also hep with mobility, e.g. grab bars, bath mats, shower seats and easy-turn taps. So from kitchens to worktops; sinks to taps; bathrooms to bath panels; showers to shower screens; you can be sure of friendly, knowledgeable service.